A a wonderful, long (25 minutes!) rich radio broadcast on Bossa Nova offered by the BBC World Server is a 'must listen'. 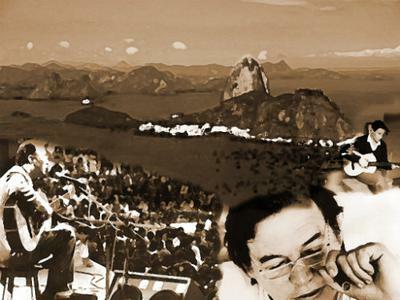 This broadcast takes you deeply into how Bossa Nova came about covering some of the history as well as, importantly, the musicality of Bossa Nova (New Wave, or New Beat in English). The narrator, bossa singer Monica Vasconcelos, takes you on a tour, which while conducted in softly accented English is scattered with Portuguese, so those who speak, or are learning, Portuguese will enjoy the immersion. Click and listen, it's great!